The monument to Vitovt in Grodno is a wooden statue, set near the bridge leading to the Old Castle. 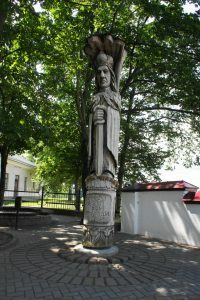 It was transferred to the city by the Lithuanian Cultural Foundation. The figure is completely made of wood. It was installed in the 90s of the last century. 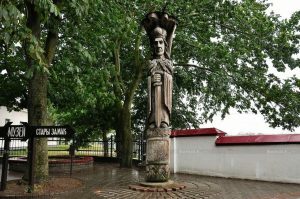 The location of the statue was not chosen by chance: it was the Grand Duke Vitovt who laid the foundation for the construction of the castle during his reign. 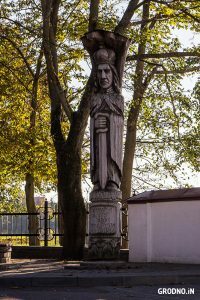 During the rule of Vitovt Grodno became the second capital of the Grand Duchy of Lithuania, and in 1410 it was from here that the prince led his troops to the Battle of Grunwald. 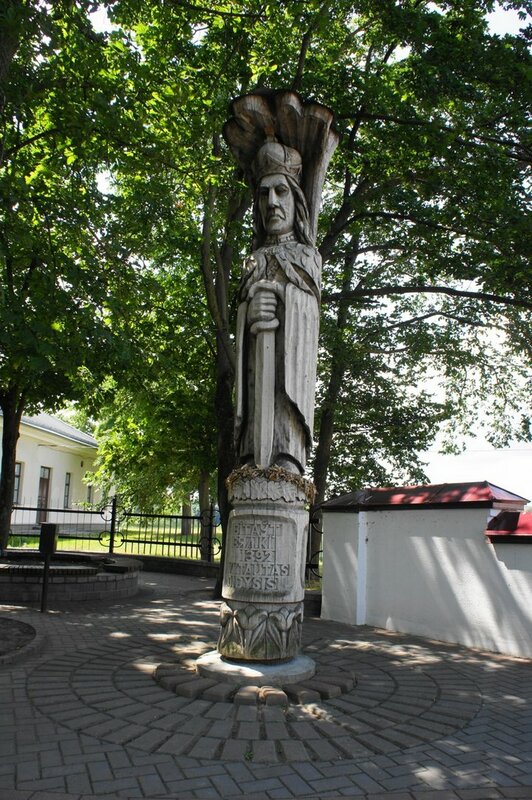 Under his reign, Grodno became one of the most beautiful and well-ordered cities of the principality. The monument attracts tourists with its size and unusual technique of execution. However, at present his condition leaves much to be desired. 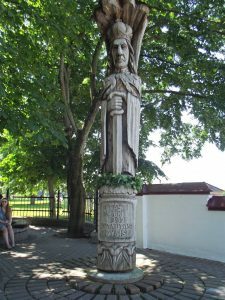 There is no proper care for the wooden statue, but under the influence of the weather it began to crack. It is interesting that not all Grodno residents know, in honor of whom a monument is erected. Many do not know that it exists at all. According to some versions, it is a monument to an unknown revolutionary hero or to some “old president”.